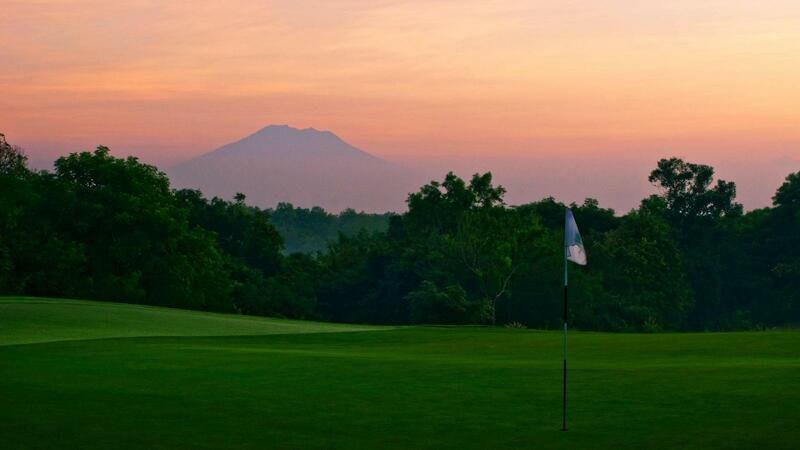 Bali National Golf Club offers visitors a truly luxurious golfing experience on the renovated golf club that has three distinct playing environments throughout the 18-hole course. 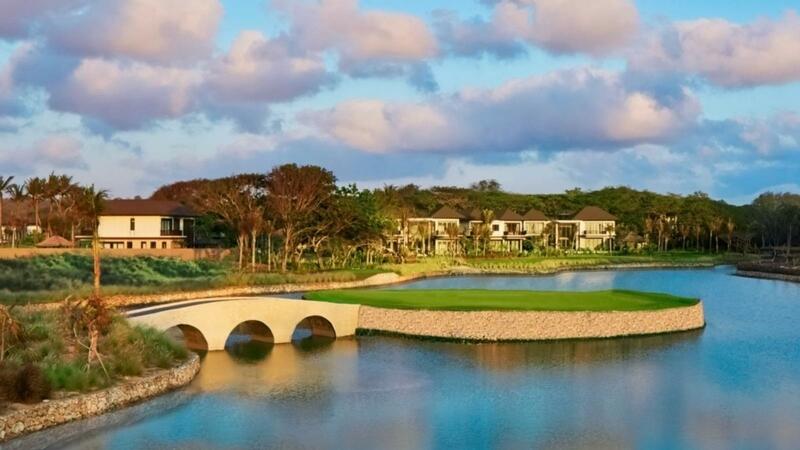 The Hawaiian-styled golf course is only a short 20 minute drive through Bali Mandala toll road from Ngurah Rai Bali International Airport. 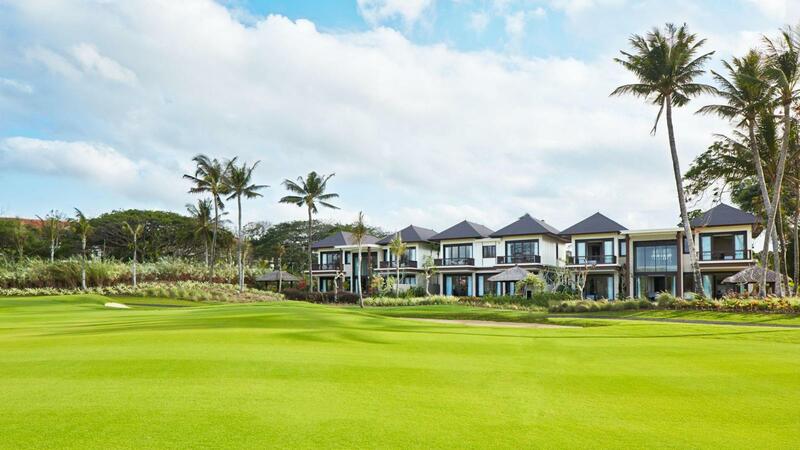 Bali National is located in The MAJ Nusa Dua, inside The Nusa Dua tourism complex. 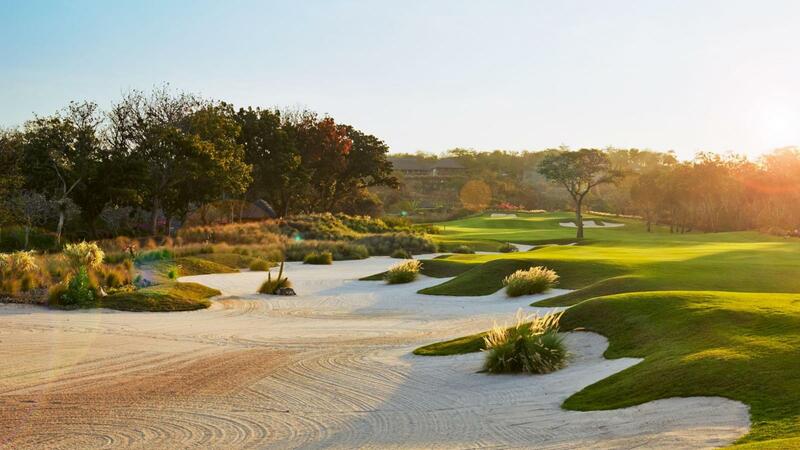 The course not only offers luxurious villa accommodation but also sits alongside three miles of white sand beaches. 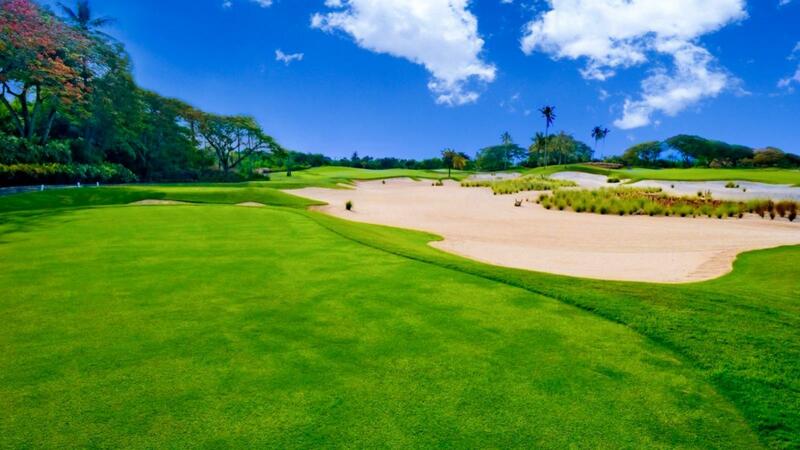 The Bali golf course was redesigned in 2013 by the superb Robin Nelson and Rodney Wright. Nelson incorporated Asian culture into the redesign, with hand-laid local stone walls built alongside the fairways and tee boxes. The wall arrangements almost give the perception of being in a typical rice field terrace that fill the majority of the countryside in Indonesia. 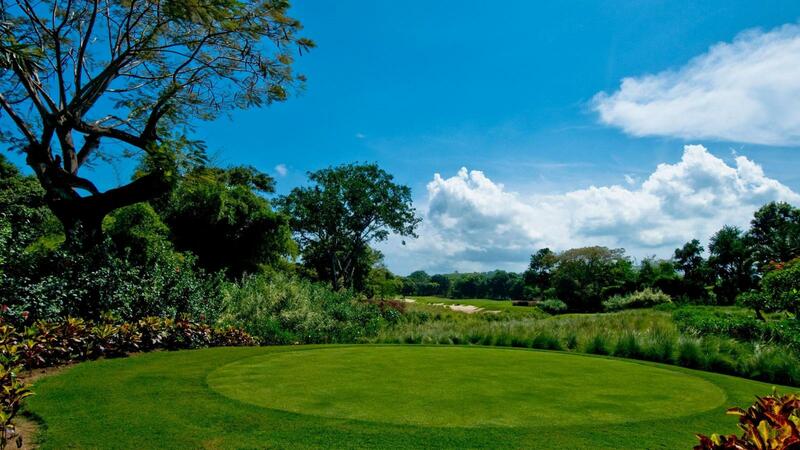 Holes 1 to 9 feature creeks, canyons, and native vegetation filled with tropical birds, whilst holes 10 to 16 offer the golfer lush, gently sculptured fairways through a mature grove. 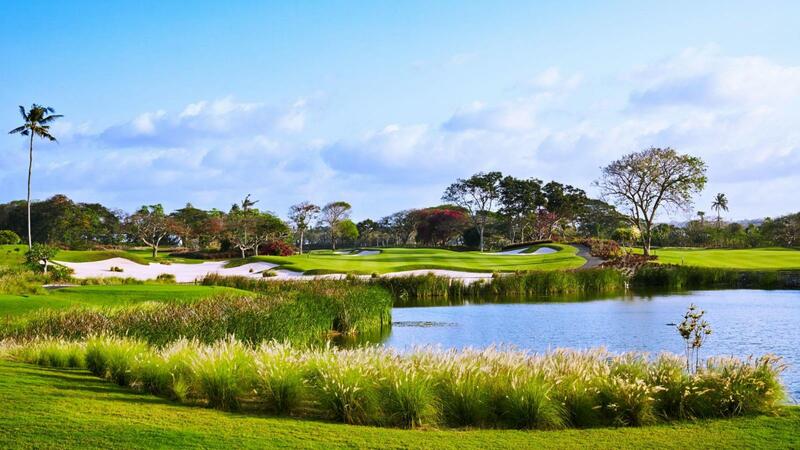 Finally, Bali National Golf Club’s island green hole 17 and lakeside hole 18 are the finishing holes that challenge every golfer. 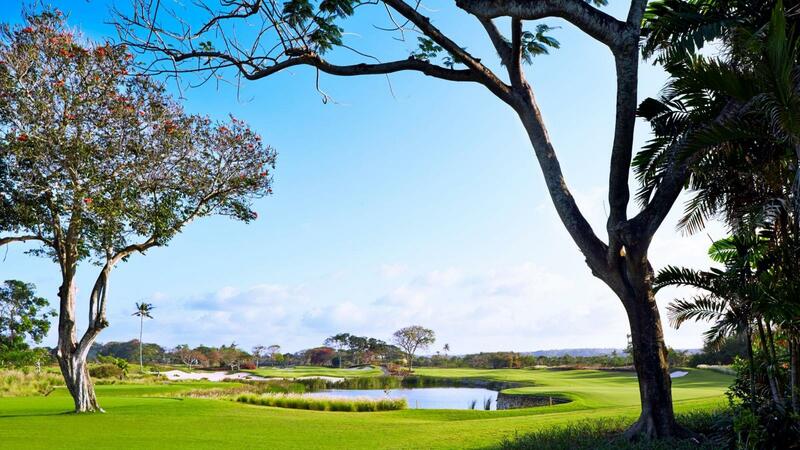 Spectacular views of the Indian Ocean and the Nusa Dua area treat each player during their round. 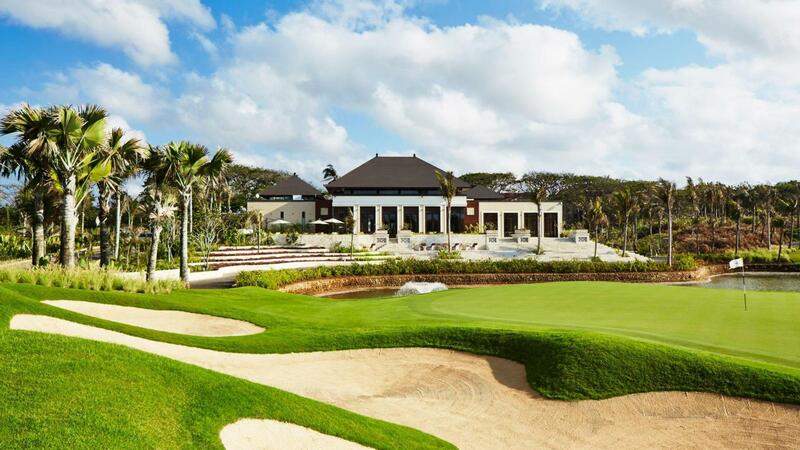 The course was awarded ‘Best Renovated Golf Course in Asia 2014,’ ‘3rd Best Renovated Golf Course Worldwide 2015,’ ‘5th Best Golf Resort in Asia Pacific,’ and ‘Best Golf Resort in Indonesia 2017’ by Golf Digest USA.